Some Northern lawmakers in Nigeria's House of representatives have opposed a motion for control of the Nigeria’s population because it is anti-Islam. 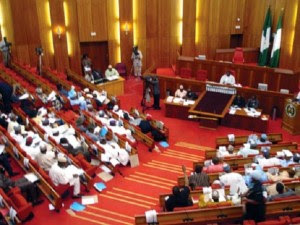 Naij.com reports that a member of the lower chamber of the National Assembly, Babatunde Gabriel Kolawole had moved for the motion titled ‘Need for the federal government to curb population explosion in Nigeria.’ The motion also sought to enjoin the National Orientation Agency (NOA) to educate Nigerians on family planning. Kolawole explained that he was worried that Nigeria's population will explode and become unmanageable. The lawmaker submission was objected by his colleague from Bauchi state, Sani Abdul, who noted that the motion was unnecessary and a waste of time. He argued that population tells the strength of a nation and since the country has a large land scape and the natural resources to carter for the populace, the motion was needless. Other lawmakers from the north were objected to the motion and spoke unanimously against it. They based their arguments on the fact that population control is anti-Islam and a direct attack on their religious beliefs. Contributing on the motion, another lawmaker, Zakare Mohammed pointed out that though he was not against the motion, he advised that the country’s culture must be preserved.